Unless otherwise noted, corrections have been made to all versions. 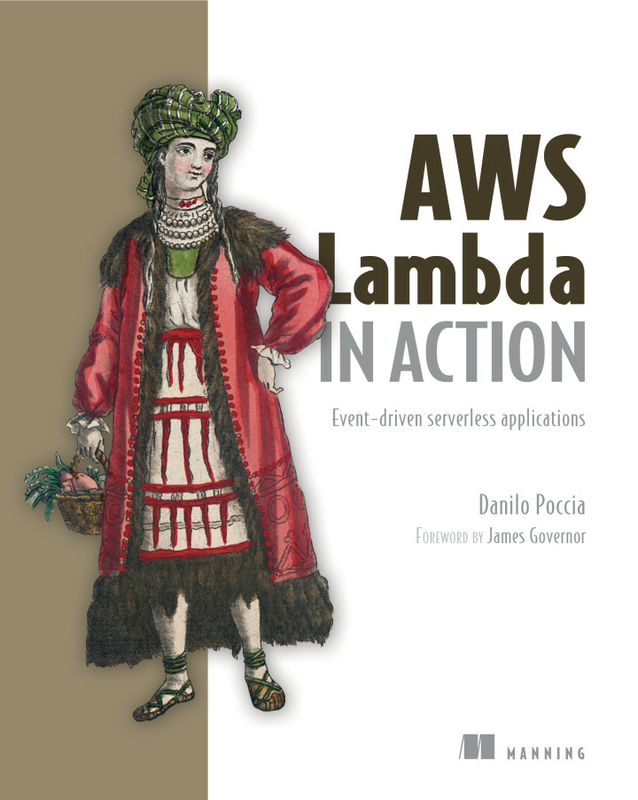 Thank you for purchasing AWS Lambda in Action. Please post any errors, other than those listed below, in the book's Author Online Forum. We'll update this list as necessary. Thank you! Even if you use a container-based approach in building the environment, with tools such as Docker, you're still in charge of managing versioning and updates of the containers you use. There's a third double quotation mark preceding name. A default syntax to send back HTTP return code, headers, and the body of the response is also put in place. Using this syntax, you only need to work on the Lambda function code and you can leave the configuration in the API Gateway console as it is. The configurations you used in this chapter, using custom mapping templates, are still available. A default syntax to send back HTTP return code, headers, and the body of the response is also put in place. Using this syntax, you only need to work on the Lambda function code, and you can leave the configuration in the API Gateway console as it is. The configurations you used in this chapter, using custom mapping templates, are still available. © 2018 Manning Publications Co. All rights reserved.